As little as ten years ago, the traditional project delivery method of hiring your designer and builder separately ruled the roost – but today, project owners can also hire a design-builder: a single point of contact that runs the entire project from inception to completion. While the traditional procurement methods are still in use, and still a good fit for some projects, each delivery style has its advantages and disadvantages. Historically, the most common project delivery method was the traditional design-bid-build process. This course breaks down each component into a separate step in which the project owner hires the architect or designer and the construction contractor separately. Beginning with the design contract, the owner requests bids from architectural firms for the project’s design (but there can be multiple contracts with building architects, landscape architects, structural/mechanical/electrical engineers, and/or interior designers). Together, the project owner and design team create the construction documents which are then used to solicit bids from construction contractors who will price the work based on the drawings. Often, under this method, the project is awarded to the lowest bidder under a general contractor or construction management delivery who then subcontracts to trades and suppliers. The design-build project delivery method creates a united, cohesive team, with one entity that the project owner contracts. Typically, the team is led by the construction contractor who manages the project in its entirety and carries full responsibility for the work. But while one team member leads, this delivery method is characterized by collaboration between the design and construction teams. Under this method, the contractor provides valuable insight on the design as far as constructability and value engineering and together, they can create cost-effective solutions and variations on the design and materials. While a traditional design-bid-build delivery can achieve the lowest total construction cost through competitive bidding, often the contractor is selected based on price, not performance, which can impact the project’s quality. With this model, as well, the contractor has no input on the design and must build to spec and come up with change orders on the fly (which can often become contentious and costly). Lastly, since the contractor is brought in after the construction documents are completed, there’s often a schedule delay as the designer adjusts the drawings to prep for the start of construction. 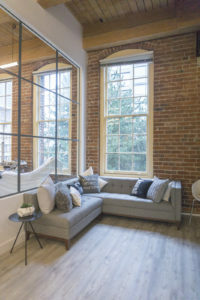 Dubbed the “turnkey approach,” design-build offers a simplified project where the owner only needs to liaise with one entity rather than managing several or having an in-house project manager oversee the project. Because the design-builder assumes complete project responsibility from design to costs to schedule, this method is the least time-consuming for the owner and minimizes designer-contractor conflicts since they are on the same team. Additionally, the design-build approach offers greater cost certainty, an accelerated project schedule, custom design, increased quality, and greater peace of mind. At Truspace, we’re an inhouse design-build team that combines the expertise of an interior designer, project manager, and construction team to deliver a quality project without frustrations or uncertainties. We follow a detailed and comprehensive process that caters and crafts our interior office design and construction to your company’s specific needs, values, and brand. Beginning by gaining a thorough understanding of your business’ needs, we then design an interior suited to your goals. Once the drawings are approved, our inhouse team builds your project, delivering on time and on budget. Lastly, our dedicated aftercare program provides a full, one-year warranty to swiftly and effectively manage any post-construction issues. Looking for design-build company to design or redesign your office in Edmonton, Vancouver, Toronto or Calgary? Contact using the form below to learn more about our design-build service. 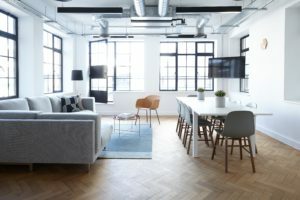 Are Breakout Spaces Right For Your Next Office Redesign?